On Sunday, the citizens of Lombardy and Veneto voted for a consultative referendum on regional autonomy. In both regions voters were asked whether they wanted their regional administrations to undertake institutional initiatives to obtain enlarged autonomy and the relevant funding as foreseen by article 116 of the Italian Constitution. In Lombardy there was no quorum required, whereas in Veneto the quorum was set at 50%. 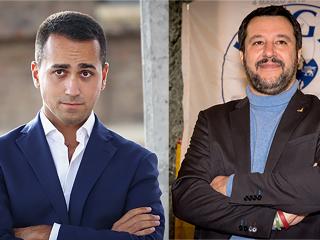 The referendum had been promoted by the Northern League (which governs in both Lombardy and Veneto), and had no official outright opposition from other parties except from the far right Fratelli d’Italia. With the yes camp (with different nuances) in overwhelming majority, the real interest in the vote was not in the actual result (unsurprisingly, the “yes” reached 98.1% in Veneto and 95.3% in Lombardy) but in the turnout. In Veneto the participation was a very high 57.2%, while in Lombardy it was at a less impressive 38.3%. In our view, this could be enough to legitimize the inclusion of the devolution issue among the campaign themes for the upcoming national political elections. However, with nearly all parties professing to some degree in favour of more devolution, it will be hard for any of them to differentiate significantly from others, unless someone will be willing to run the risk of pushing the discussion on the politically slippery issue of inter-region fiscal transfers. This is a step which could in principle jeopardize the aspiration of the Northern League’s leadership to look for electoral support outside its Northern strongholds. What’s next? Given its non-binding nature, the results of the vote are unlikely to have any relevant immediate effect. The whole process would inherently take a long time to complete: an eventual agreement with the government would be followed by the submission of a bill to the parliament and by two rounds of parliamentary approvals in each branch of the parliament, the second of which needs an absolute majority in each branch. As these should be separated by at least a three-month time lapse, the path to the final approval would last a full year to say the least. Soon after the results were out, the governors of both regions anticipated that they would immediately set up negotiating teams to deal with the national government to start the process, in principle aiming to reach an agreement before the next national political elections. We see this more a declaration of intent than a realistic possibility: more plausibly, the Lombardy and Veneto request for additional autonomy will be a matter of discussion with the government which will emerge from the spring 2018 political elections.